The Buyer: BOK Financial Capital Corporation (www.bokf.com) was established in 2007 as a subsidiary of BOK Financial Corporation (NASDAQ:BOKF), a financial services holding company with $30 billion in assets. BOKFF is focused on providing capital to private, middle-market companies within or near the BOK Financial footprint, which includes Oklahoma, Texas, Kansas, Missouri, Arkansas, Colorado, New Mexico, and Arizona. The Seller: Heartland Food Products (“HFP”) was founded over 30 years ago by Mary and Bill Steeb to the delight of children across the United States. HFP is ‘The Waffle Company’ and manufactures best-in-class waffle bakers and best in class waffle mixes and also pioneered the placement of bakers in hotels (free waffles for breakfast! ), educational institutions, and even some restaurants as a way to sell HFP’s proprietary waffle mix. A classic razor and razor blade business, HFP has bakers in over 11,000 of locations feeding hungry travelers and students on a daily basis. The Close: After 30 years, Mary Steeb desired an exit of her ownership. However, after 30 years, HFP co-owner Bill Steeb, a constant improver, had developed exciting innovations to disrupt the breakfast waffle category as well as take the company into Blue Oceans of lunch and dinner. In order to achieve that growth without threatening the ability of HFP to continue its solid performance for another 30+ years, additional capital and management support would be necessary. Bill wanted a Purple Squirrel in a new partner that delivered a low debt capital structure and interest in long-term ownership. The DVS Group was able to connect BOK and HFP quickly and quietly while also providing education on both sides on to make the fit a true Purple Squirrel. 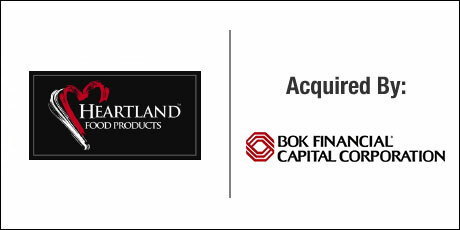 The combination of patient capital support from BOK relative to standard 10 year funds played a significant role, as did the capacity to contribute a much larger majority of equity relative to debt. Bill rolled a significant portion of his equity, remains a minority owner of the new entity and will be in place to see his innovations come to fruition with the enthusiastic support of BOK.